Restoration: Watch The Teaser For The Australian SciFi! I really enjoyed this film. The premise is wonderful, the acting great, and the sound design is fantastic also. As a film, the story didn't go the way I expected it to, which is always a good sign when watching any movie whether sci-fi or not ... it definitely surprised me. I'm the kind of person who tends to map films out in my head ahead as I go, but I didn't get it right this time - some surprising events. I guess my only complaint would be I would have enjoyed it being longer! 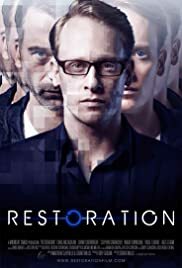 Definitely has shades of Black Mirror and things like that, so if you enjoyed that you will enjoy this. I also spent some time thinking about it afterwards, which is another good sign. Recommended.